I went to a networking event held by Raindance Vancouver. Aptly titled Booze and Schmooze. They told me about a play that Annahis was directing and Ken was starring in. 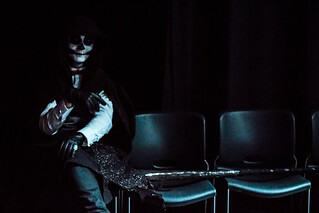 The play is called Psychopomp & Circumstance and is a musical murder mystery about the Grim Reaper. Check out episode 19 of Between 2 Pints! I was lucky enough to be invited to the play and brought my zoom lens and took a few pictures. You can check out the flickr album here!